Clarion Events stages the annual Counter Terror Expo (CTX), the preeminent international trade show and conference delivering buyers and specifiers from across the world within Government, Military, Law Enforcement, Emergency Services, Critical National Infrastructure, Private Sector and the Security Services. (from left to right) Tim Porter, Managing Director Clarion Events and Defence. Theresa May, Home Secretary and Member of Parliament for Maidenhead. Admiral the Lord West of Spithead. Stephen Phipson CBE, Director Security Industry Engagement at HMG. 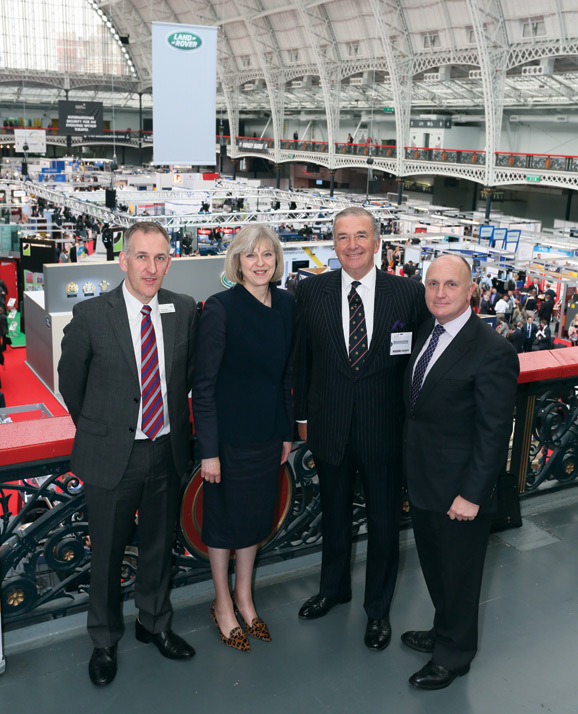 As recently reported in Soldier Modernisation, CTX 2014 promised to be “Bigger, Better and More Relevant,” and by all accounts the conference, which took place 29th and 30th April at Olympia London, lived up to that promise. With close to 9,000 industry leaders and delegations from across the world in attendance, CTX 2014 was the most successful to date.